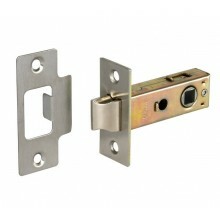 Bolt-through fixings are a type of fitting that are used in conjunction with wood screws to strengthen the fitting of internal handles to your door. 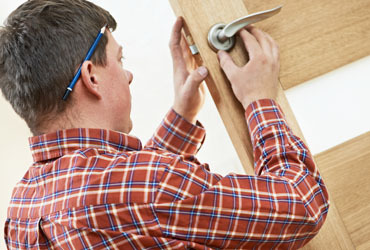 Unlike wood screws which surface fix from one side of the door, bolt-through fixings go from one door handle through the door and connect to the other door handle on the other side, securely fastening the handles in place. Wood screws can inherently work loose and in time cause the screw hole to expand. For this reason, it is advisable to install bolt-through fixings alongside your wood screws as they strengthen installation and prevent the wood screws from moving and working loose. It is particularly important to install bolt-through fixing in commercial premises and high-traffic areas as they offer a secure fit and ensure your door handles stand the test of time. 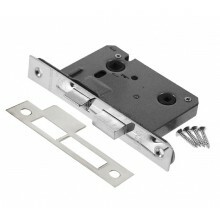 Bolt-through fixings are typically used in conjunction with wood screws to install door handles on rose. These are generally fitted on the horizontal axis to the left and right of the spindle. 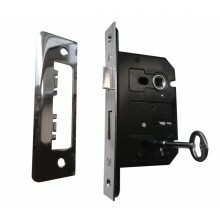 It is however only possible to use bolt-through fixings if the mortice door latch or mortice lock have bolt-through holes to accommodate the fixings. Once fitted the bolt-through fixings will be concealed by the outer rose of the handles for a tidy finish. For more handy hints and tips on how to fit new door handles, why not check out our previous blog on ‘Replacing Door Handles on Existing Door’.